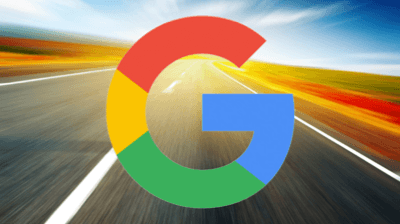 Accelerated Mobile Pages (AMP) may be fast, but their rollout by Google is slow. In mid-Feb Google started showing Accelerated Mobile Pages in News search results on mobile devices. Since then we’ve been waiting with bated breath to see this in NZ mobile search results. But so far nothing. This week it was revealed on a Google help forum that so far Google has rolled out AMP news results in only 12 countries. Those countries predictably include the USA and UK, as well as some surprises amongst the rest in Brazil, France, Germany, India, Indonesia, Italy, Japan, Mexico, Russia, and Spain. Whilst we don’t necessarily expect a miniscule market like NZ to be in the vanguard, we are a little surprised to see Australia not included in the initial roll out, given it frequently seems to be included when Google rolls out new services. At this point there’s no indication when AMP will be rolled out to NZ. Nor, as Google has indicated will happen, when AMP will be expanded beyond just news results. The latter means that when AMP does eventually get here it won’t just of be interest to news publishers like NZME, Fairfax, TVNZ and MediaWorks. Indeed, why should online marketers in NZ care about something like AMP when it’s not yet here? Not being included in the initial roll out of new online technologies may frustrate early adopters, however it’s actually to our advantage. It gives astute online marketers here in NZ the luxury and opportunity of being able to critically observe from the sidelines what does and doesn’t work in other markets. Learning from these mistakes means they can be on the front foot and ready ahead of competitors when services do get rolled out in NZ.